Overcoming Objections on the Phone: Is That Your Best Price? 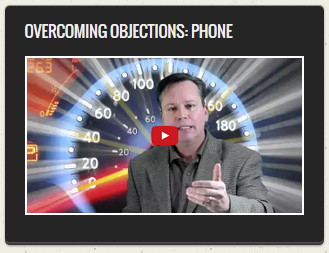 Overcoming Objections on the Phone: Can You Send Me Some Pictures? Overcoming Objections on the Phone: I Want That In Writing! We have noticed a push for customers wanting to know they are approved before they will come in. How would you respond to this objection? If it were my dealership, I would use the “Just get ’em in” approach for one primary reason: With all the rules/laws/issues around privacy, identity theft, and non-public information, I would not want my BDC or internet salespeople discussing credit worthiness with someone over the phone or email. How can we be 100% certain we’re really speaking with the person whose social security number we have on the credit application? If the dealership chooses option 2, then you have your answer: Pre-qualify everyone in advance. Of course, you’ll do fewer deals, because a great Special Fi Manager can often get someone bought that ten others could not. How should I respond to those that say, “I’m not interested in making an appointment right now/this week.”? There are two important things to remember here: 1) This objection is just a stall tactic – the customer is afraid of you; and 2) Anyone not willing to set an appointment is not a fit. I understand that you may not be ready to make a decision right now – that makes perfect sense; and I’m not interested in selling you a thing – especially until you’re ready. (USED) That said, we’ve had a lot of interest in that vehicle and I’m not sure when we’re going to get another that nice at such a great price. (NEW) That said, with the incentives expiring soon and the inventories going down, I’m not sure if we can count on such great offers next month. So, what I’d like to do is just schedule the priority test drive at this time, without dealing with the sale until you’re ready; and as I said, I have two priority test drives open on that vehicle this afternoon, one at 2:15 and one at 2:45, which one works better for you? Oh my fricking god!!! I’ve been selling cars for 12 years and this script works great!!! now when i’m on the phone I sit and hope the customer tells me there not interested in making an appointment right now. I get them in for a test drive every time! thank u Steve – you are the man! Thank you for the feedback Mick. I’m glad to hear you’re setting more appointments with this one.